Charlie was all too happy to be the taste tester for this latest post. 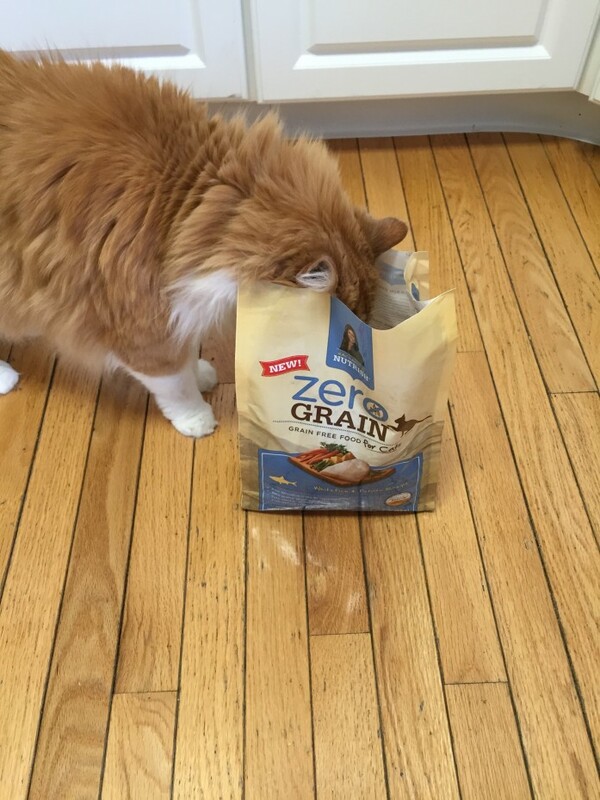 I recently received a box of Rachael Ray Nutrish Zero Grain pet food. Did you guys know that Rachael Ray has a line of pet food? I didn’t! She’s been offering dog food since 2009 and forayed into the world of cat food in 2014. So I was very curious to see how he would feel about this new brand and flavor. He does love seafood so I was hopeful he would be a fan. I opened the box and curiosity and cats…. We had a winner! I put a bowl down and he ate most of it which is pretty spectacular for him. 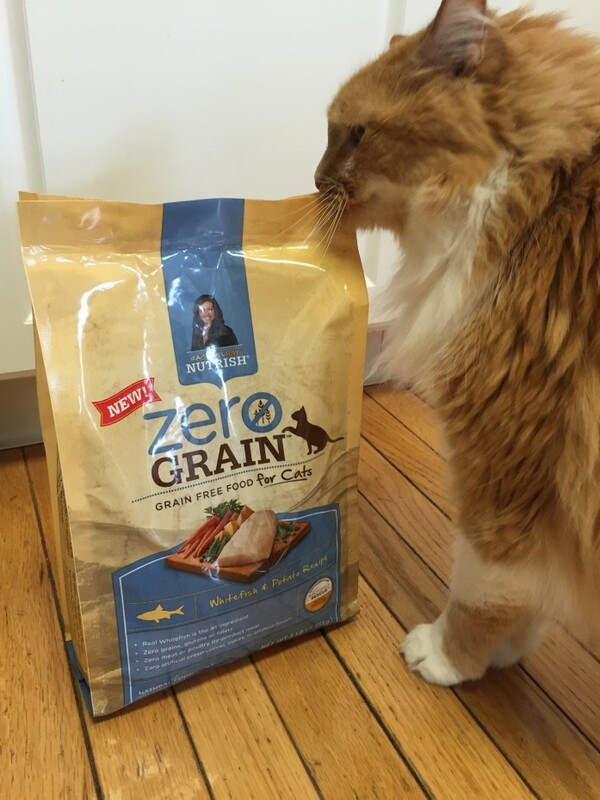 Rachael Ray’s Zero Grain Whitefish dry cat food is made with real whitefish and whitefish is the #1 ingredient. White fish is a highly digestible protein that helps your cats to maintain strong muscles and helps minimize litter box odors. Other features – it’s grain free, gluten-free and has no meat or poultry by-product. 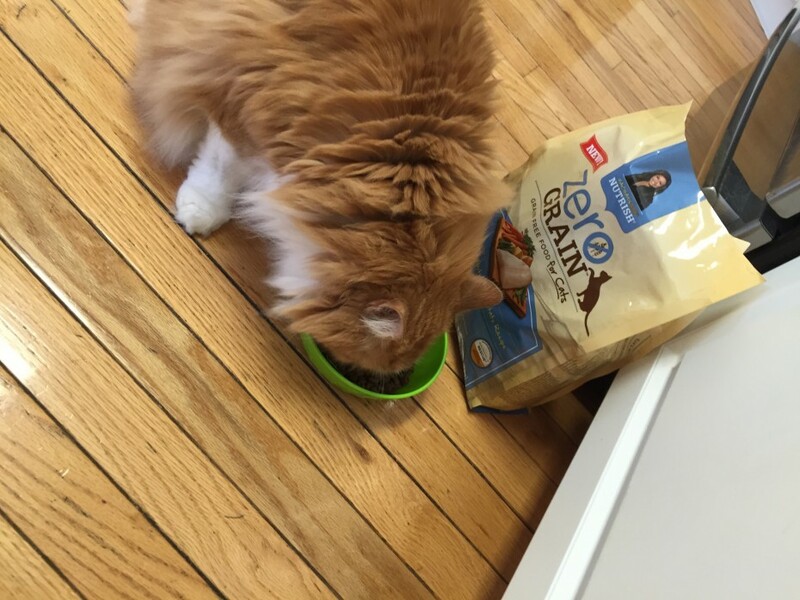 Also, save $3 off the Zero Grain Whitefish Dry Cat Food today but visiting this $3 off coupon page on RachaelRay.com! You can find the product at most major retailers as well as your local Walmart & Target. Give it a try! I know that personally in our house, I like to change up my cat’s kibble every few months. I always figure – how boring would it be to eat the same thing for years at a time? I can’t imagine they love having the same flavor all the time either so I’m gung-ho when it comes to trying something new for my guys. The worst that happens is that they’ll snub their little pink noses at it and move on, right? Oh! And one last thing even more impressive than the actual cat food: Rachael’s personal proceeds from the sales of her pet food go to Rachael’s Rescue, created to help shelter pets. Over $9 million has gone toward food, medical supplies and treatments for animals in need. Awesome. Follow Rachael Ray Nutrish on Twitter, Facebook and Instagram. Yup- definitely worth a try. Next trip to Walmart, will check it out. love the fact that proceeds help our shelter furface friends as well. ps. what a handsome big boy Charlie is! If Rachel Ray cooked up this delight for cats, It’s got to be good! I think Sir Ralph and Porch Kitty will like this! Hope their “Staff” will buy it for them.